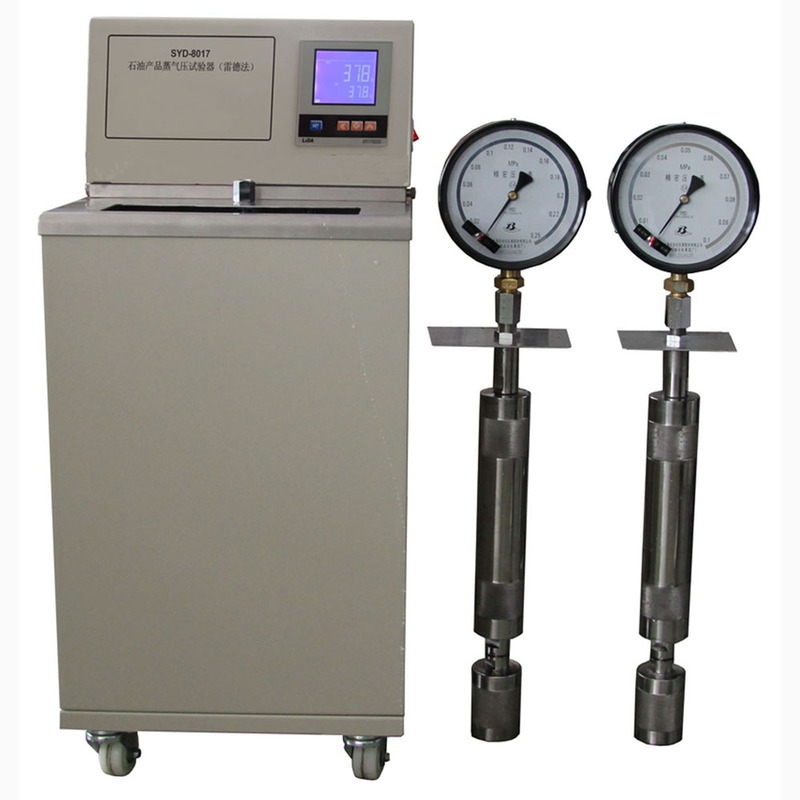 This instrument is made and designed as per national standard of People’s Republic of China GB/T 8017 Petroleum Products- Determination of vapor pressure- Reid method. 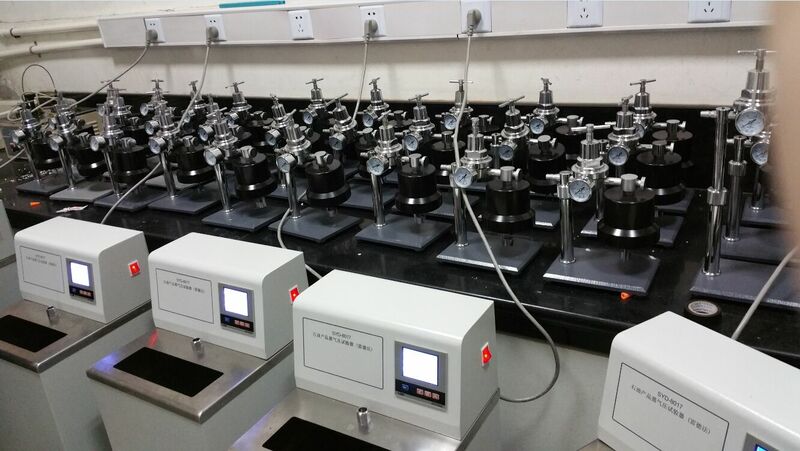 It is used to test make determination for vapor pressure of gasoline, volatile crude oil and other volatile petroleum products. 1. Floor type structure. Stainless steel working table. It is good looking and easy to operate. Accessories are complete. 2. Digital temperature controller. The temperature in water bath is uniform. Temperature control accuracy is high. It can meet the requirements of test. 3. Two precise pressure meters to detect the gas pressure inside the bomb. 4. Two sets of vapor pressure bombs. It can do synchronous tests.